If a window pops up about creating a catalog, ignore it. 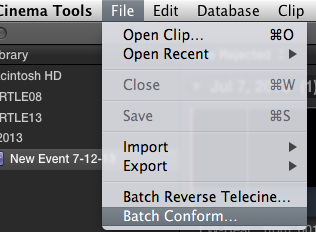 Go up to menu File > Batch Conform. Choose your footage folder. Select just one file and hit OK. Choose your desired frame rate and hit Conform. It will take a few seconds to go through all the clips. They will be in the original folder in a new folder called “Conformed”. You can either leave them there or move them back out again. 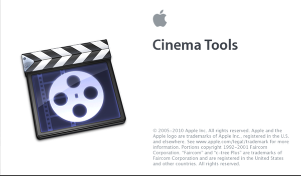 Download Cinec from http://www.cinemartin.com/cinec/. You can use the Free or Pro versions. Select File > Add/Open Files/s and choose your clips. You will now havea list of the imported files. The framerate should read 25. Select all clips. 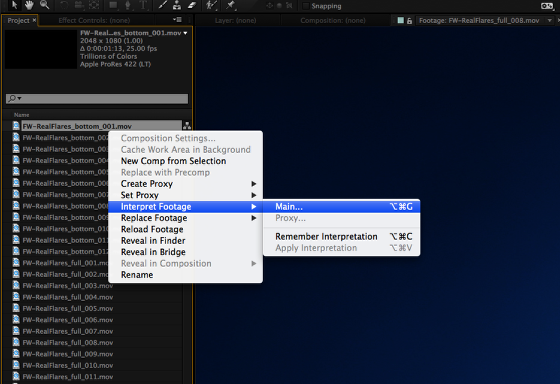 In the Common Preset dropdown menu, change this to your desired format. 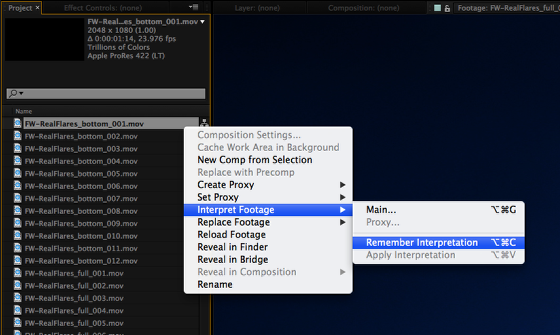 Apple ProRes (LT) matches the original’s format. Next go up to the FPS and type in your desired value. Note: If you type in 23.976 and hit enter, this will display 24. Do not worry, it will encode to the correct value. Finally choose a directory for your processed file. Repeat for all clips. Hit Encode. Once the files have processed, your Movie FPS and Duration will be different. This shows that you have the same frames but they are playing back at a different speed. Select one clip in the Project window. Right-click and choose Interpret Footage > Main. 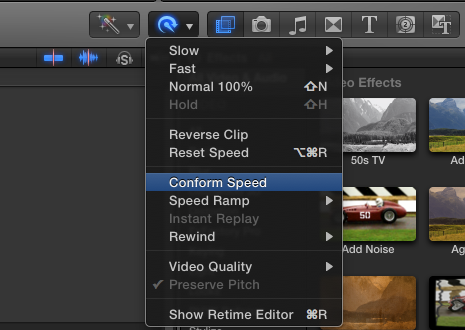 In the Frame Rate set the “Conform to frame rate” to the desired rate. Hit OK.
Right-click on the footage again. Choose Interpret Footage > Remember Interpretation. Select the other clips. Choose Interpret Footage > Apply Interpretation. Your clips are now ready to use. Select all clips in the bin. 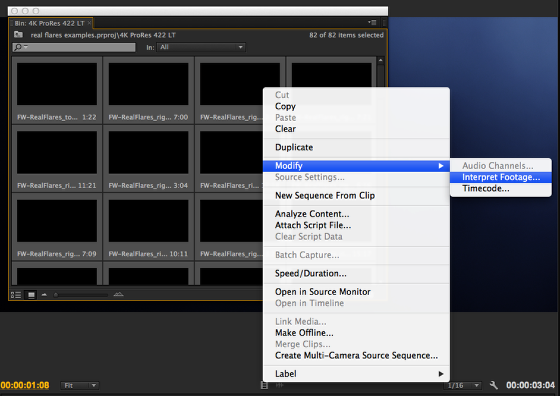 Choose Modify > Interpret Footage. 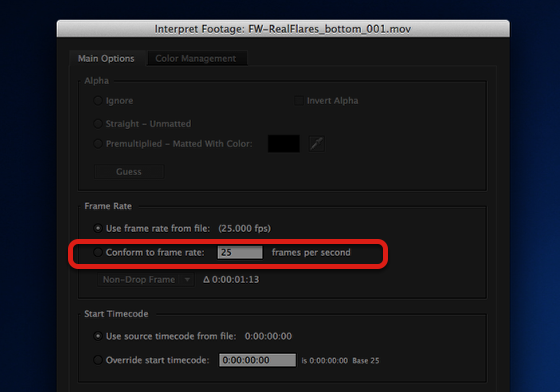 Change “Assume this frame rate” to your desired format. Premiere Pro will shorten this to two digits, but 23.976 will register correctly. Hit OK and Premiere Pro will do the rest. Select your clip(s) on the timeline. Go to the Retiming menu and choose Conform. 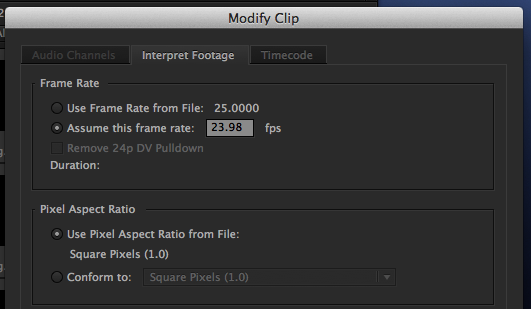 Your clip on the timeline will shrink or grow to meet the timeline’s framerate.